Dazzle Ship sounds a bit like the unrealised sister song to the Beatles 'Yellow Submarine', but in reality it is an actual ind of vessel. That is the definition of 'dazzle', and that is exactly what a Dazzle Ship does. These camouflaged vessels were used in the First and Second World War, not to hide the ship from sight, but to confuse the enemy. Dazzle Ships were painted with glaring geometric patterns, which made it difficult to determine the distance, direction, and speed of which it was going. 14-18 NOW is a major cultural programme marking the centenary of World War One. For one of its projects they decided to recreate two Dazzle Ships in London and Liverpool. In London, they commissioned German sculptor, Tobias Rehberger, to paint the HMS President (1918) into a dazzling display. The flower-class HMS President (1918) served in the First World Ward, and can now be found on the River Thames on Victoria Embankment until the 21st September. On that day you can step on board for a series of events including two talks which cost £7.50 or £5 concessions. The first will cover the history of Dazzle Ships, and the second will focus of the contemporary interpretation. 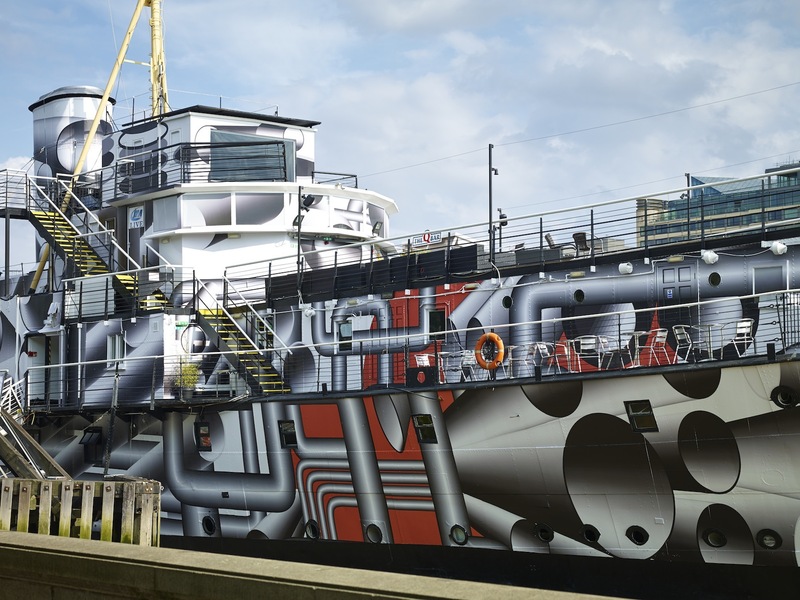 There will also be a world premier documentary screening of Dazzle Ship London by David Kew for £5.